We may be on the verge of a revolution in power generation. Again. A paper published by an independent group of scientists details the results of a new test of Andrea Rossi’s latest version of his company’s E-Cat technology and the conclusions are, to say the least, intriguing (though “incredible” would be rather more accurate). The idea behind cold fusion is to create a nuclear reaction at room temperature (or thereabouts) which would “fuse” atoms together and release more energy than was required to cause the fusion. 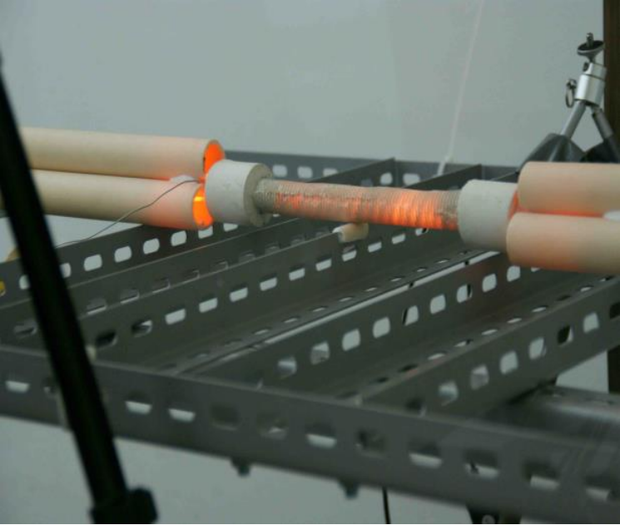 While there have been endless experiments in labs around the world at a cost of billions of dollars with “hot fusion”, a fusion method that heats atoms to stellar temperatures and at a cost of billions of dollars, no one has been able to demonstrate a net gain in energy from this approach (that said, lots of interesting and useful science has come out of the work). The problem with Pons and Fleischmann’s claimed discovery was that no one could duplicate it and despite subsequent research to something of the order of $44 million no further progress was achieved … at least, until Andrea Rossi. When I first wrote about Rossi he was about to conduct a demonstration of a 1MW E-Cat generator. The actual demonstration on October 28, 2011, was intriguing but hardly scientific and plagued with technical problems (including only outputting 0.5MW) which lead those who argued (mostly from scientific principles) that cold fusion wasn’t possible to cry “foul” while most of the believers argued that while skepticism was warranted, it appeared that Rossi was on to something important. Since then most of the observers of the "cold fusion" field have dropped the term in favor of “Low Energy Nuclear Reaction” or LENR to decouple whatever the phenomenon is from the older and much more contentious term. As for Rossi, the three ring circus surrounding him has continued over the intervening months. Part of the problem is that Rossi has had what can be fairly called a checkered history with prior ventures that resulted in court cases and accusations of fraud. This created a credibility problem for both Rossi and his various companies. Moreover, Rossi has also made claims, predictions, and announcements that have had no discernible basis in reality. Thus, every announcement and demonstration by Rossi over the last three years has been surrounded by a whirl of claims, counterclaims, and accusations of fraud along with endless theorizing in the alternative energy community (greetings, Vortex-L). … if we consider the whole volume of the reactor core and the most conservative figures on energy production, we still get a value of (7.93 ± 0.8) 10^2 MJ/Liter that is one order of magnitude higher than any conventional source. Of course the paper ignited a whole new furore with the disbelievers arguing that the test setup was rigged and or that the measurement methodology was flawed (there was even a suggestion that Rossi had hidden a laser in the ceiling and that was the source of heating of the test reactor). Since that test, little had happened … at least, until yesterday. Yesterday a new paper was published on a Swedish blog titled Observation of abundant heat production from a reactor device and of isotopic changes in the fuel. The paper was authored by Giuseppe Levi (Bologna University, Bologna, Italy), Evelyn Foschi (Bologna, Italy), Bo Höistad, Roland Pettersson and Lars Tegnér (Uppsala University, Uppsala, Sweden), and Hanno Essén (Royal Institute of Technology, Stockholm, Sweden); all members of the previous test team. Their conclusion? 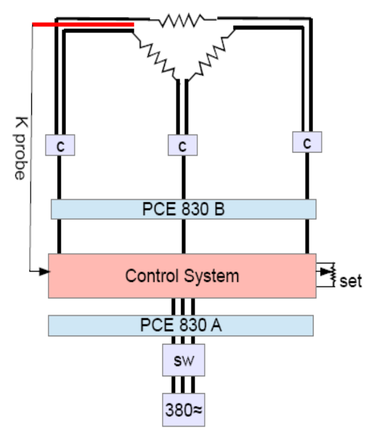 The measured energy balance between input and output heat yielded a COP factor of about 3.2 and 3.6 for the 1260 ºC and 1400 ºC runs, respectively. The total net energy obtained during the 32 days run was about 1.5 MWh. This amount of energy is far more than can be obtained from any known chemical sources in the small reactor volume. E-Cat operating during the test. To run the reactor the apparatus is electrically heated using a waveform that is managed by a control box that the experimenters weren’t allowed to examine. Even so, they were allowed to take electrical measurements before and after the control box. 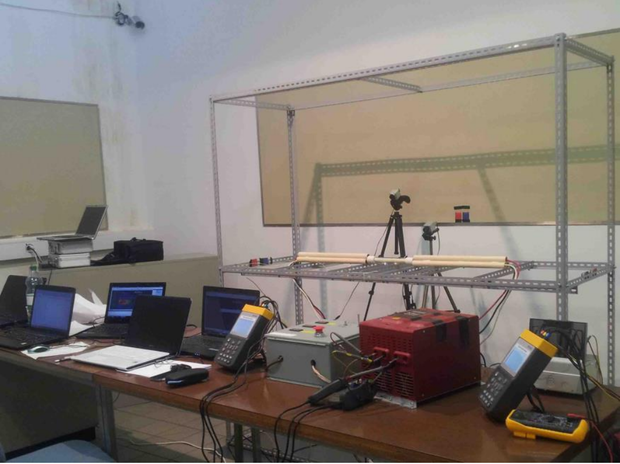 Experiment setup for the measurements. The authors go into great detail as to how they performed their measurements, how they modeled the system, and what they discovered (though they don’t mention checking for lasers in the ceiling). 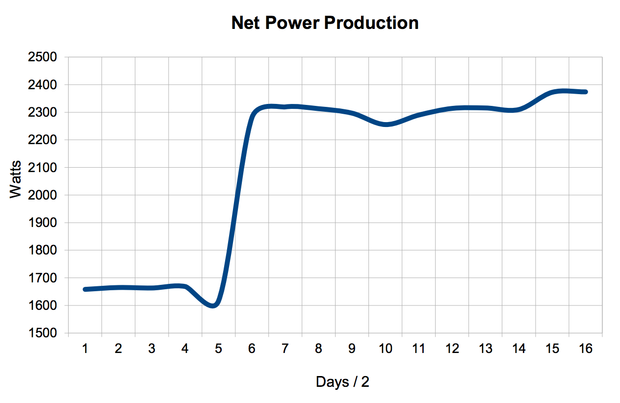 E-Cat Net power production trend throughout the test. 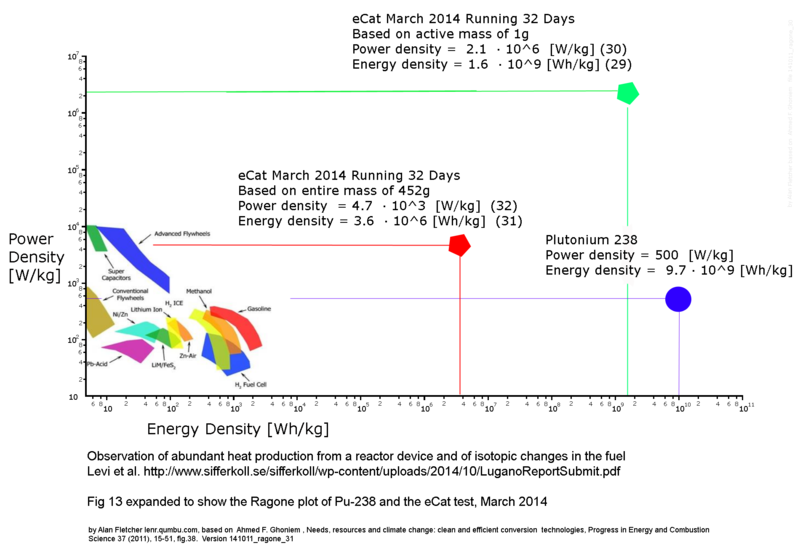 This result is remarkable since it shows that the burning process in E-Cat indeed changes the fuel at the nuclear level, i.e. nuclear reactions have taken place. It is notable, but maybe only a coincidence, that also in Astrophysics a 7Li depletion is observed. This is the most convincing data so far to support Rossi's claims and, assuming that all is as it appears, we can start to ponder a future where transportation costs are trivial, every house, business, data center, you name it has it's own power and heat generation system, every power company becomes obsolete, every third world nation gets to play with the big boys economically, and Andrea Rossi becomes the richest person in history by orders of magnitude. This is very much a "watch this space" event ... stay tuned. In the mean time, what's your call? You've read the paper? What's the future look like to you?